An open-ground musical isn't an IDIOTic idea. Not if you have the right songs, awesome stage actors and a visionary company to mount the whole thing. 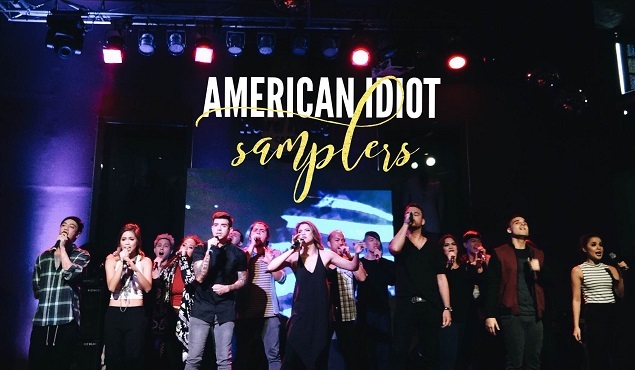 Green Day's famous songs will be fetched out of your Spotify to the real world and unto a huge stage as Globe and Nine Works Theatrical combine forces to stage the smash musical "American Idiot ". Sing along with "21 Guns", "Boulevard of Broken Dreams", and "Wake Me Up When September Ends" along a whole repertoire of songs that made you fall and out of love - not in a traditional theater setup but outside! This won't look like your ordinary outdoor concerts. People will behave, we promise. Or some might be a little bit carried away with the songs but that's allowed. The show will be mounted at the Bonifacio Global City Amphitheater which boasts of a pioneering glass bridge connecting two separate stores, one of them could be the Globe Iconic Store, in opposite buildings. The bridge is flanked by two massive LED screens. This area serves as a performance space for an audience below it. Sounds dope and theater lovers might raise an eyebrow but the organizers vowed to make the show enjoyable to everyone. There will be 9 shows. Play dates are on June 24, 25 and 26, and July 1, 2, 3, 8, 9 and 10. You can get your tickets here. See you at the theater... amphitheater that is.